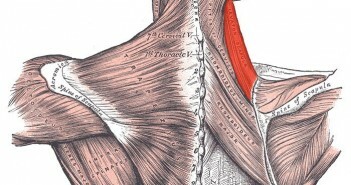 The rhomboid minor is a small skeletal muscle on the back that connects the scapula (shoulder blade) with the vertebrae of the spinal column. 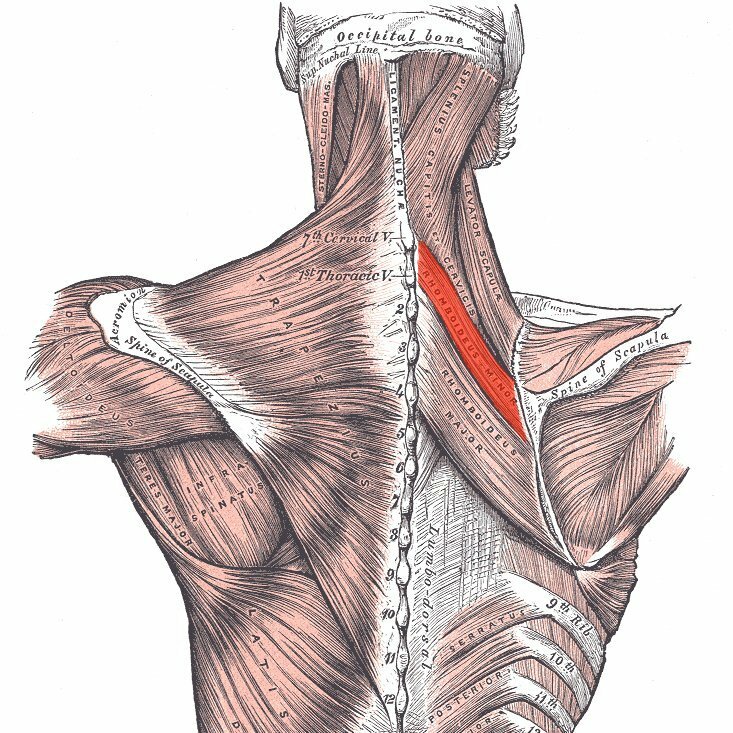 The rhomboid minor is located below (inferior to) the levator scapulae and above (superior to) the rhomboid major, it acts together with the latter to keep the scapula pressed against the thoracic wall. 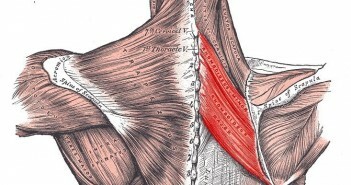 Together with the rhomboid major, the rhomboid minor retracts the scapula when the trapezius is contracted. 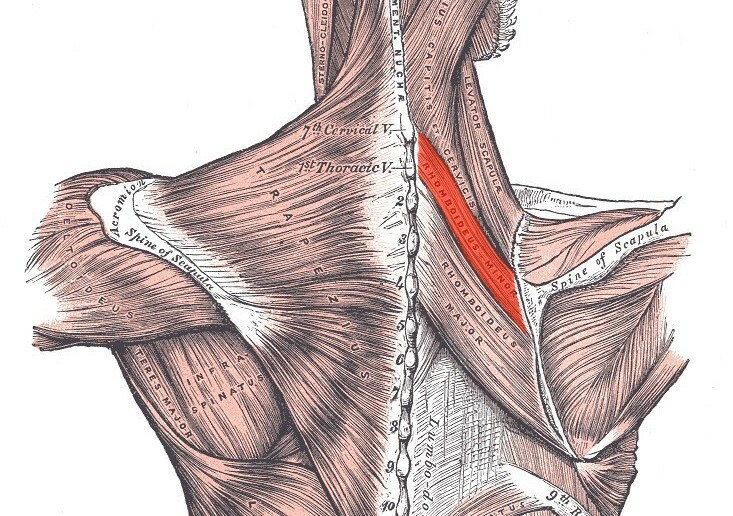 Acting as an antagonist to the trapezius, both rhomboids elevate the medial (inner, closest to the spine) border of the scapula medially (inwards) and upwards, working in tandem with the levator scapulae muscle to rotate the scapulae downwards. While other shoulder muscles are active, the rhomboids stabilise the scapula. 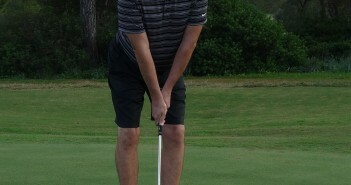 The Role of the Levator Scapulae in the Golf Swing. 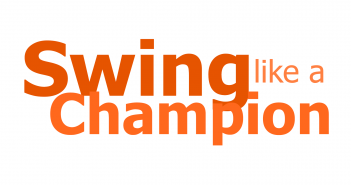 Trapezius muscle, which describes the large muscles between your neck and your shoulders.